The ladies' game in the county was thrown back into the national spotlight again this week when club delegates took the decision to remove the defending All Ireland senior club champions Carnacon from senior competitions in Mayo at a county board meeting that was held on Tuesday. The club will appeal the decision to the Connacht Council. In a statement it said: "Understandably, the entire panel, management, club officers, our families and supporters are devastated by the sequence of events which have transpired. "The club is in the process of preparing an appeal of this decision to lodge with the Connacht LGFA, so at this point in time we feel it would be inappropriate to comment any further. "We hope you can understand our position and respect our decision. At the end of the day all our members want is to play football and we hope to get this opportunity again in the not too distant future. We would like to thank the general public for their support and goodwill in this unprecedented situation." At Tuesday's meeting the delegates heard an update from the county board executive on the mediation process that followed the withdrawl of 12 players from the Mayo senior set-up in July, eight of them from Carnacon and a number of members of the backroom team. Following the update and some discussion a proposal was put forward from the club delegates on the floor to find the Carnacon club guilty of bringing the game into disrepute; this was passed by a vote of 29-4. That was followed by a vote on a sanction of removing them from the senior championship and league competitions for the coming year, which was passed by a vote of 26-2, with some votes spoiled. 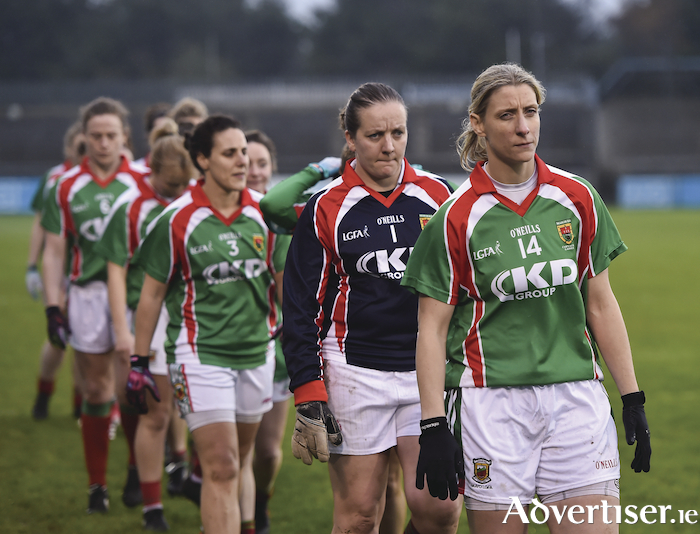 Mayo LGFA secretary Kevin McDonnell told the Mayo Advertiser yesterday morning (Thursday ): "No further update, whatever has gone out is it. I have read in the media that Carnacon are planning to appeal, but that will not go to me, it will go to the Connacht Council. "There is a Connacht Council meeting scheduled for Tuesday evening, it will likely come up there. That was scheduled from a few weeks ago. They will deal with it very quickly. The clubs voted on it, the executive can't make a decision on that - the proposal and everything came from the floor. It didn't come from the top table."